A 360-degree customer journey is a set of ideas and methods meant to take you from vague promises of being “customer-centric” to a concrete process for measurably offering more value to customers. By better understanding individuals and groups of customers, you’ll find ways to make your products more useful and smooth out the buying process, building an engaged audience for your brand along the way. The first part of a 360-degree customer journey is a set of customer-specific data that is both complete and integrated. All the data sources are cross-referenced. Nothing is redundant and every bit counts from analytics to sales interactions to customer feedback. The second part is an organisation designed to nurture all that data and make good use of it. Different teams responsible for each part of the data need to have solid processes in place to make sure no useful information falls through the cracks. They also need processes for how and when to use the data to offer better value to customers at each stage of their journey. Let’s see some of the challenges, and possible ways around them, with an example. Let’s say we represent a financial company that wants to increase business loans. We need to get more traffic from LinkedIn as it shows our targeted audience and, the platform allows us to precisely craft it. To attract the audience we display ads to direct people to our site to download various ebooks, eg. on business accounting and budgeting tips. Once visitors submit their email address, we can launch a campaign to engage them further. 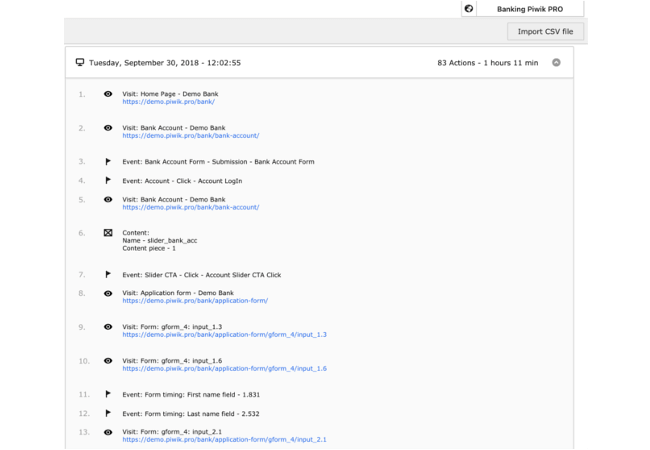 Finally, we run a remarketing campaign in Google encouraging visitors to sign up for a demo. Through each of these channels some prospects will also have contact with a sales person – demos, email, live chat, chat bots, etc. If teams don’t get along or follow the same rules, they would all probably just have access to their own data, if that – they’ll be stuck in their own dark and lonely silo. For instance, the sales team doesn’t fill in the CRM with details about demo meetings or email contact with prospects. Or the marketing team doesn’t produce meaningful content for sales to use and keeps them in the dark about possibly useful information from web analytics data. Sometimes this is as simple as two departments heads not getting along or having different visions of process improvements. Other times, the problem resides higher up in the C-level suite. Many organisations are addressing this kind of problem with a new C-level position: Head of People. Others manage with more traditional HR and operations departments. Methods for addressing this go beyond the scope of this article, but we can say this much: without effective cooperation between teams, the best technical solutions to this problem won’t mean much. But let’s assume for now that everyone gets along and good integration and data processes are just a few meetings away. The technical side is best handled by integrating all your data in one place. Here’s how we’d do it using Piwik PRO’s Customer Data Platform. First, you take analytics data gathered from LinkedIn like data from forms, events, pageviews and import it into the CDP. Next, via API you upload to the platform all customer information from your CRM. This should include data about what resources sales used and how much contact they had with each prospect. You can do this with other tools as well, such as importing different kinds of feedback from a tool like Mopinion. 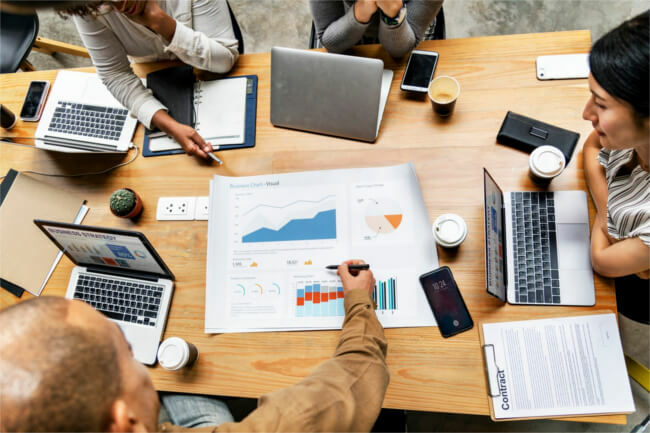 Your team can still use each tool on it’s own for some analyses, but there are some analyses that can only be done with a complete set of data, such as cross-channel attribution, persona creation or customer journey mapping. We’ll come back to those, for now let’s keep integrating our data. Phone to store to phone… then back to desktop again?! Bear in mind that the customer journey is not linear it rather has twists and turns. Although marketers tend to focus on online aspects, customers use offline and online channels. 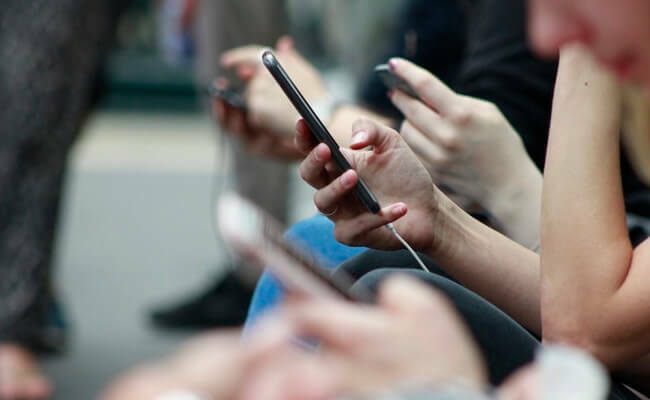 According to a Google report, 82% of smartphone users check information on their phones before making an in-store purchase. Coming back to our banking client: consider a scenario when the customer doesn’t qualify for a loan or leaves a form unfinished. We can segment based on this and use remarketing to make them a special offer at a local branch. You have two connected channels and getting the data integration right requires two bits of information and a process in place with that local branch. As the offer ID is saved in bank’s transactional system it recognises the customer as he arrives to the branch. Then, all data relevant to the deal you can upload via API to a customer data platform. There you have data from analytics and other sources so you can walk step by step through this customer’s experience. Let’s throw in one more variable: this bank customer was switching devices, using both phone and laptop to click on email links and fill out forms. You need to know that a customer on their desktop X is the same one who uses smartphone Y. If we gave that prospect a simple way to log in and check offers, we can take advantage of their user ID to recognise them. So now you can follow the steps we mentioned above and automatically combine related data. Where personal data is involved you can expect the road to be bumpy. Recent leaks, hacks and callous disregard for data privacy by tech leaders make this issue particularly important. Under GDPR collecting personal data about your customers requires obtaining the consent. And the definition of such data includes basically any information relating to an individual or identifiable person, directly or indirectly. That applies also to cookie identifier, device ID and the IP address. But all is not lost, there’s a way to do it by being transparent, explaining to customers the purpose of processing their data and giving them real choice in how their data is used. Although it requires you to take responsibility for data and consent, there are various tools, such as consent managers, that will help you get this done. Integrated? Check. Compliant? Check. What now? With the prerequisites out of the way, now we’ve come to best part: turning data into insights and concrete improvements. 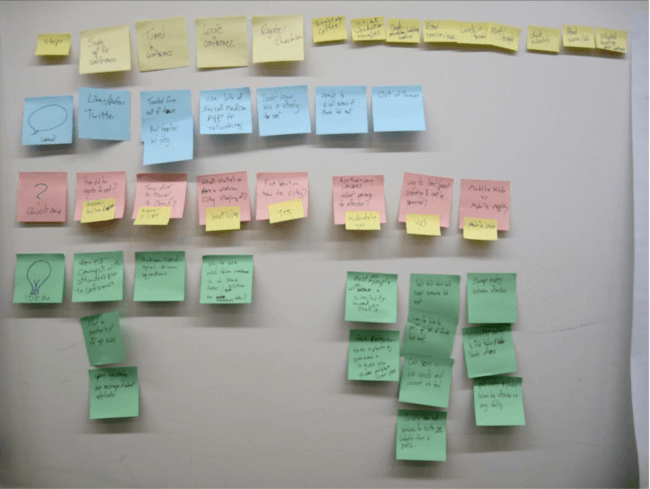 Another useful tool is something called a customer journey map. It’s a way to visualise customers’ experiences with your brand and make it understandable to everyone in your organisation – from managers and stakeholders to the design team. This helps you put the customer as the primary focus of your decision-making. Also bear in mind, that such a map is a model, just a simplified version of reality without 100% accuracy. It needs to be dynamic as the customers profiles and journeys evolve with time so you need to keep it up-to-date. 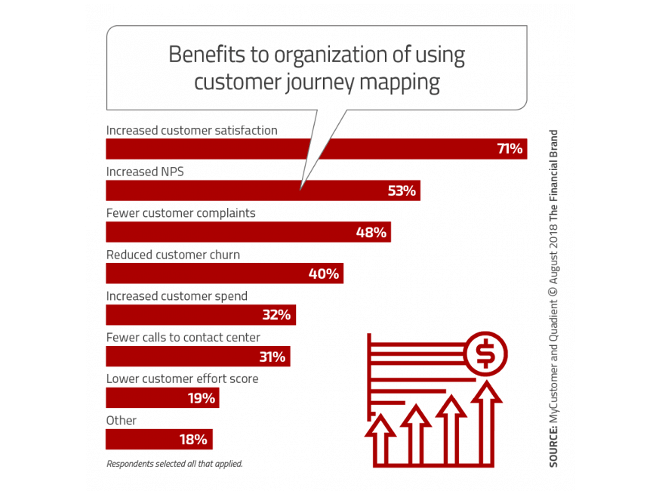 With this in mind, it’s necessary to have a single customer view for creating a compelling journey and a precise map. A SCV, also called 360° view, is a great method for collecting all your customer data and combining it into a single record. It’s a smart marketers’ way to meet customers needs at every touchpoint. Consider your banking customer who saw your ad on LinkedIn, searches for advice on saving money and struggles to get a loan. You can start constructing user profiles around such information and with the right technology develop it to better use it later on. 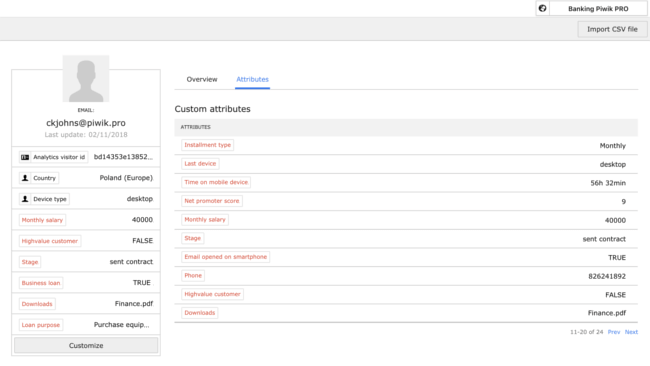 Have a look at customers attributes and apply them to segment users, then build up more precise profiles. 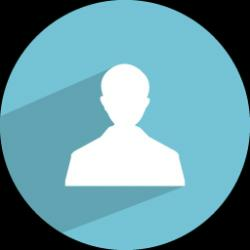 Enrich the profiles with qualitative and quantitative research to have them well-rounded. Next, write down all steps in a customer journey to define the touchpoints, every point of contact a person has with your organisation, both off and online. Use your sales funnel to get the whole picture of the buying process and set it as the core for the map. 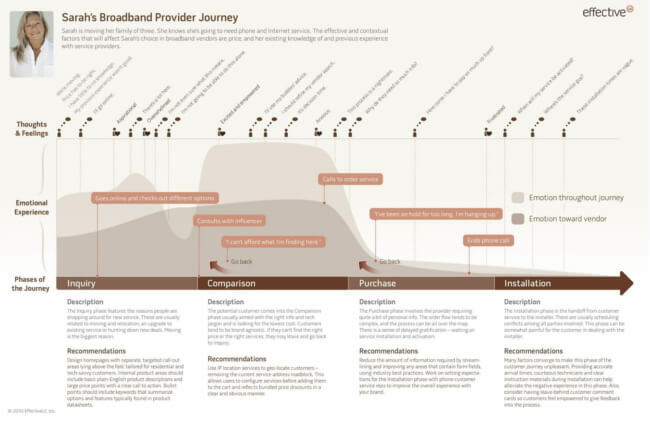 A creative approach to creating a customer journey map, flexible and easy to update. The following step is to adjust journey’s stages to customer goals. Analyse what your customers would like to achieve. Find out what they’re looking for, get their feedback. Maybe your buying cycle is too complicated. Then, check if your customers are actually meeting their goals. Tap into your data and evaluate if customers get things done as they wish. Look at your dashboards to see whether the banking customer received their ebook or signed the loan application and if they had any issues along the way. Finally, review and optimise the map. Iit needs to be usable for your specific purpose, revised regularly. Any updates, improvements regarding your products or services, web design tweaks might impact how your customers flow through the journey stages. A simple customer journey map with only one possible path. 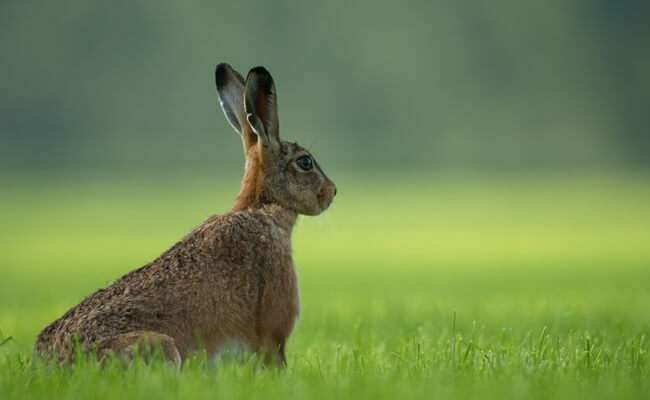 You’ll see a wide variety of customer journeys, so a good way to decide who to focus on first is CLV. It lets you know who’s in it for the long haul and how much value they can bring to your organisation so you can give them priority. This way you won’t waste your budget on customers who flee after the first purchase, but rather you invest in those who want to stick with you. So, you’ve gathered all data, created maps and calculated value but still everything is not going according to plan. To prevent customers from falling through the cracks you should locate and quickly fix the weak spots or bottlenecks along the journey. Let’s say your banking customer contacts your team to enquiry why the loan application doesn’t come through. It turns out the sales team doesn’t fill in all the necessary data. With all the data in front of you these holes will be clear and you can take steps to improve processes by showing each team the effects such data holes have on the entire cycle. Another weak spot could be when a customer has issues while moving from desktop to mobile and eventually gives up because of poor experience. This should be visible from analytics data and from customer feedback. All in all, stay alert. Keep a close eye on friction points your customers encounter and react as quickly as possible. Having a compelling customer journey in place also means that you know your audience and provide them with content they want and expect. A good formula would be to build relevant audiences for each step along the journey. Since you’ve already have all required data, it’s time to make it actionable. Building different audiences at each stage of the journey is a groundwork for creating highly relevant and personalised campaigns. This way you help your customers go smoothly through each phase and reach their goals. A 360-degree customer journey is both an organisational and technical challenge. Without solid processes for both, the whole operation will stumble. But don’t let that prevent you from starting. Just as a customer might wander from mobile to brick-and-mortar to email and back again, your organisation is sure to wander around a bit on its way to a solid process for integrating and acting on customer journey data. Keep making data-driven decisions to offer your customers better value and in the end your organisation will find its rhythm. Karolina Matuszewska, Content Marketer at Piwik PRO, specialises in issues of on-site and off-site personalization. She transforms technical jargon into engaging and informative articles dedicated for digital marketers and web analytics specialists.